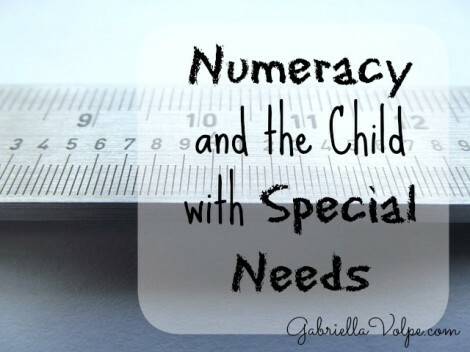 Day 18: Numeracy and the Child with Special Needs - GABRIELLA VOLPE, B.Ed.GABRIELLA VOLPE, B.Ed. As a fifth and sixth grade teacher, I know the demands the system makes when it comes to mathematics. I also know that children are both fascinated by numbers and intimidated by them. If a child has special needs, the challenges with mathematics can be grand. You will find an extensive amount of math activities on Pinterest. 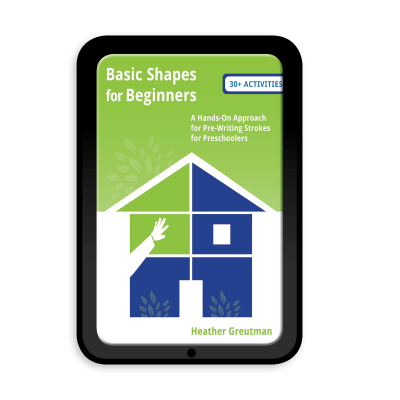 There are so many ways you can teach your child fractions and geometry and the basic facts. But, how will you reach those standard goals if your child has significant delays? This post aims to help you catch your breath when it comes to numeracy. I love the posters created by teachers and students pinned on Pinterest. However, the concepts taught in this way may have little meaning for a child with special needs. Since math is symbolic in nature, children who are concrete thinkers will struggle with making that shift. Some children with learning difficulties may have trouble seeing the numbers correctly. Children with auditory conditions may have trouble hearing numbers properly. Children with fine motor delays may find writing numbers a challenge. Children with cognitive delays may not comprehend the significance behind numbers. 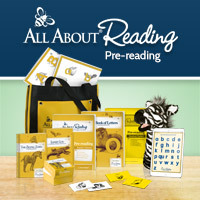 Children with memory impairments will find memorizing basic facts and procedures a challenge. Some children may find basic facts quizzing to be anxiety-inducing. Don’t teach math if your child is not developmentally ready for it. That doesn’t mean not to expose your child to numeracy. You cannot teach the concepts as presented in the standards. You will absolutely need to modify or adapt the curriculum for your child based on his developmental (not age or grade) level. Use real-life situations to introduce your child to math concepts. You don’t have to say, “This is how we add” or “Compare the sizes of these shapes”. Instead, do it. “Which vase has more flowers? Let’s count. “ “Which block is bigger? Biggest?” “Let’s count how many flowers are in this vase and how many are in this other one. 1-2-3 over here and 1-2 in this one. Let’s see. That’s 1-2-3-4-5. Five. There are five flowers in all.” All of this is exposure while working on real-life examples that are meaningful to the moment. Use the body to learn math. The best way to internalize the patterns of mathematics is through the body. We have math all around us. The rhythm of our heartbeats have been with us since conception. The rhythms of our days, weeks, years – it’s all mathematical patterns. Play hopscotch and count upwards to 10. Stamp the feet or clap the hands to a pattern. Count by 2s while bouncing on a trampoline. Drum and count by 10s. Bounce a ball and recite the multiplication facts. Walk from one side of the room to the other and count how many steps to introduce measurement. With a child with significant delays, you can “dance” a cha-cha to this pattern: “1-2- cha-cha-cha!” My son loves this as I move his arms and I dance before him. He’s learning both patterns and numbers up until 2. I then repeat those numbers throughout the day, “1-2 arms!” “1-2 ears!” “1-2 legs!” and so on (and don’t forget the cha-cha!) Even older children love to move to math. Get the body active and the brain will absorb the concepts. Concrete, hands-on activities are a must. Put down the pencil and paper, and get your child working with manipulatives before ever asking your child to work on math concepts abstractly. You don’t need to purchase new materials for manipulatives. Blocks such as these can be used for math in tons of ways. What do you already own? Games. Math games are an excellent way to get your family involved in the learning. You can play calendar, counting, comparison, sorting, pattern, estimation and measurement games. Make the games easy enough for your child to comprehend the rules and have some success at winning, but challenging enough for him to remain interested. Use stories. Many authors today are publishing literature that includes math concepts. You can find books with a narrative around any of the math concepts. Simply type “math story book for children” on Amazon and Google to get a list of what’s available. Avoid flashcards. Unless you’re playing the occasional game, and unless you know your child works well under pressure (ie: will not have a meltdown due to anxiety), then stay away from flashcards. There is no educational value other than to build memory skills. And, you could do that in a much gentler fashion through a memory game instead. If you don’t believe me, have another adult flash cards at you repeatedly. Pay attention to your heartbeat and your overall stress level. Then, think about a child who already struggles with math and how much pressure-to-perform this puts on him. You want your child to feel naturally successful with math – not like he’s being tested all the time. Allow your child to use his fingers. Never shame a child who uses his fingers for counting or finding a basic fact answer. This is actually a fantastic strategy that means your child understands the base ten system of numbers. And, that should be celebrated! What are some questions you might have about numeracy and your child’s needs? There are too many math concepts and levels to be able to get in-depth with the strategies. 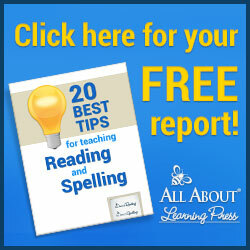 If you’d like tips specific to your child’s needs, we can work through them together. What do you think the boulier (10 series of 10 beads on a line… sorry, cant’ think of the English word) once the basic set of tens is understood? How funny, Chantal, that I neglected to include songs in this post. I think because we sing all day long – for just about everything, it completely didn’t dawn on me, until I hit “Publish” to mention songs. Yes! Absolutely! Thank you for that. I believe you’re talking about an abacus. In the classroom, I have found that it’s a quite the advanced mathematical tool to use. Children in the 6th grade struggled with using it. However, having an abacus for counting and counting on is very doable. And, what child doesn’t like to glide beads across a bar? I have a tendency to count all day long. Even for things like transitions, “Ready, set, go! 1-2-3!” and off the seat he comes, etc. There are opportunities for using numbers in everything that we do. Thanks for the input, Chantal.